The average artist of traditional circus would instantly have the felt pain caused by a confronting piece of clowning being told by Roi Borallas and Guillermo (SP) Balagans. During their performance on Festival Boulevard (NL) they show the desperation of circus clowns in a tradition that slowly seems to die and disappear. A duo that masters both serious circus skill and the art of bringing joy into ones lifes. La Bella Tour tells the story of families afraid to lose their lively hood and culture. The sometimes seemingly desperate actions to survive this battle of the fittest is a painful observation brought on stage. The time that a saying such as “Ist der Zirkus noch so klein, einer muß der August sein” has been long gone. The clown nowadays sells the tickets, builds the tent and always has disciplines he masters on the side. The truth is that it does not make a difference to a show that is small and consist of very few cast and crewmembers. It is very well possible to create outstanding productions that are both low-cost and high quality. Willpower, creativity, passion and dedication are the main ingredients to success, but once you have lost it your tent will be empty show after show. Try not to hold on to past and gone days of glory, try to recreate them with the innovative, be the early adopter circus once was. A circus artist has the skills, the tools and the courage to do what is beyond possible. 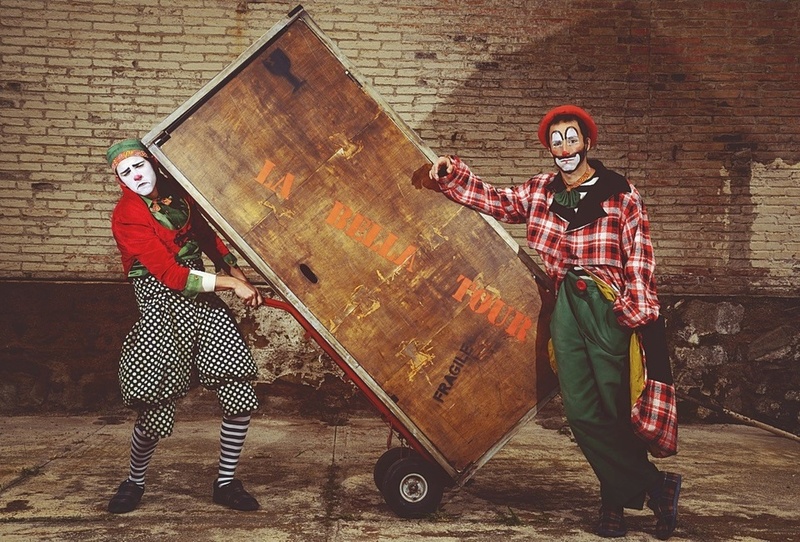 La Bella Tour operates on the cutting edge of contemporary circus and traditional circus.